Congratulations to our LOVE 2 RUN runners! Over 1,000 runners ran 2.14 miles this Valentine's Day week to make our latest race a sweet success! 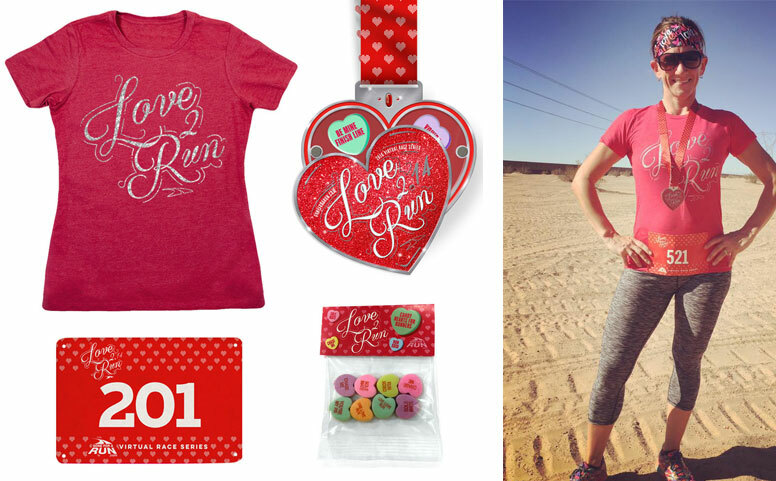 Our virtual race started with a fantastic race packet including a Love 2 run shirt, real runner's candy hearts, gorgeous finisher medal and real race bib (no downloads!) with the option to add on great Valentine's Day themed swag including tutus, socks, magnets and more! Participants signed up, received their packet in the mail, and ran, walked, crawled 2.14 miles on the course of their choice during our race window. Runners submitted their race recaps on our Facebook page, to celebrate their success around the world! Thanks to all our amazing runners, over $500 was donated to the Friends of Jaclyn Foundation. The Friends of Jaclyn Foundation has enriched the lives of over 600 children and their families who are battling pediatric cancer. Gone For a Run is proud to provide runners both a great virtual running event that promotes fun and wellness as well as giving back to a very worthy cause to help others in need. A big thank you to our community of dedicated runners for their support. We hope to see you on the road again soon! Virtual race will be held February 14-20th. This item is non-eligible for any additional promotions/coupons. Promotional pricing for race add ons cannot be combined with any other offers or discounts. Love your run with our gorgeous red tutu, featuring hearts sewn in the tulle! 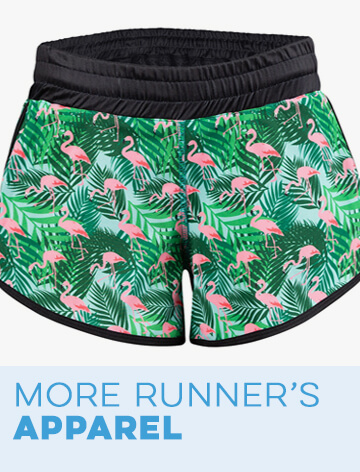 Perfect for themed races and guaranteed to provide glamor and fun to your run! Our tutus are made of 3 layers of lightweight tulle with a comfortable elastic waistband. 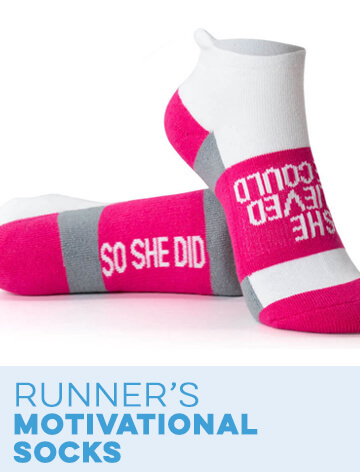 With an all-over, realistic candy heart pattern, our running mid-calf crew socks are a unique and useful addition to any runner's outfit and a great gift idea. 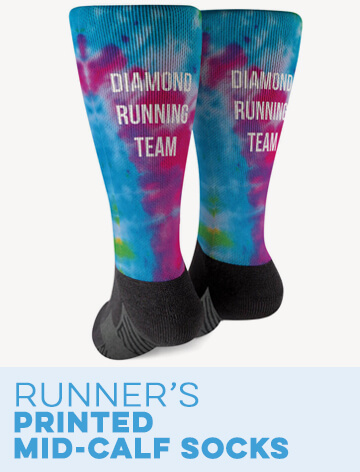 Made from moisture-wicking polyester, the socks are designed to keep runners comfortable and dry, and will be a favorite for any race or daily run, as they designed for looks as much as they are for comfort. 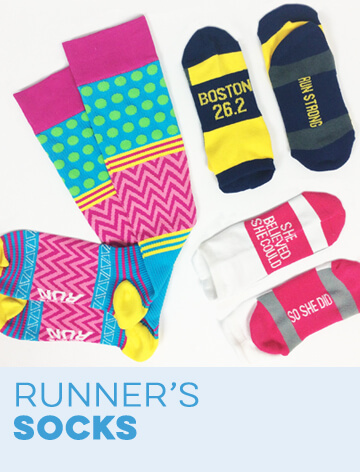 Surprise a runner with this gift perfect before a race, for Valentine's Day or another holiday, or just because - they're sure to be a favorite pair of running socks. 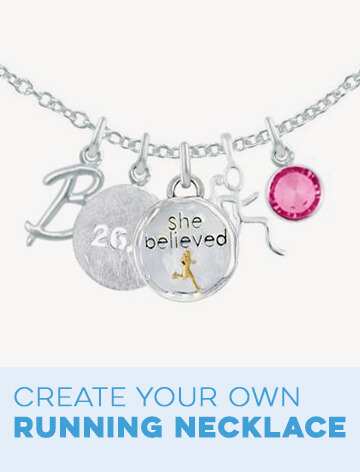 Add extra bling to your running sneakers with our unique running shoelace charms, these charms make for great tokens of accomplishment or motivation. With fun sayings, shapes and rhinestones these shoelace charms are sure to give your sneakers a little extra sparkle and motivation through any run. 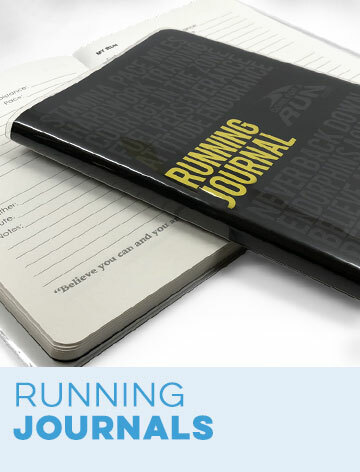 Live Love Run…a favorite zippered cosmetic, pencil or jewelry case for girls that love to run. Our RokBands are a multifunctional headband with a unique design that are engineered to be worn for all daily and physical activities. The fabric can be folded to the width or thickness you want, you can wear it as a headband, hair band, or even like a beanie. Unrolled completely, it makes an excellent mask or scarf, but can be twisted around a ponytail like a scrunchie or worn as a wristband. With so many uses the Rokbands are sure to be the perfect headband for daily wear and during any physical activity. Rated 5 out of 5 by mountaingirlmandy from Best Medal Yet! Plus Yummy Candies! Another awesome virtual event from Gone For A Run! I gave the cute shirt to a friend who can wear it fabulously! I'm not much of a "girly" shirt wearer, but it fit her like a glove and gave me a chance to share about virtual runs. I was a day late finishing this event after having been under the weather for about a week. The sun finally came out today and I was able to get in a 4-mile hike at a local National Park installation. I tried uploading 3 pictures from today, but the site will only take one. Thanks for another fun event! Rated 5 out of 5 by MoscatoMom from LOVE this set!! Valentine's Day is my FAVORITE holiday - and I love that I get to do my favorite thing - RUN! Plus I will wear this shirt again and again! It fits perfectly and is very flattering! I love ChalkTalkSports - I "run" with you guys all the time! Rated 5 out of 5 by Debra G from Always Sterling Swag and Fun Runs Beautiful race package, as always, with an extra creative and fabulous medal. I never miss Gone for a Run's races and love the variety of distances to challenge my usual routine. 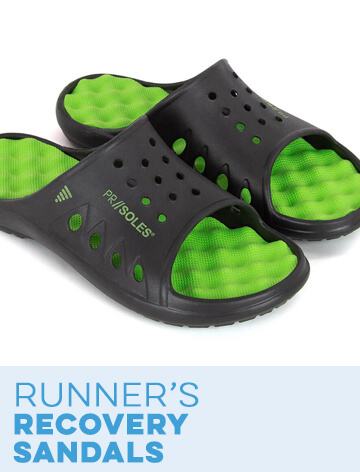 Best thing ever for anyone who loves to run! Rated 5 out of 5 by Sandra from Love the flexibility I have done 1 run a month since I found this site. I absolutely love the flexibility this offers. I work long hours and have a rare cxxxxr that has no cure so doing this when its fits in is very valuable to me. You have to have goals that make you feel good and being able to attend and complete is a positive attribute. Thank you! Rated 4 out of 5 by bbmom from Good product This is my second virtual purchase and I like doing these. Only problem with this last one is the t-shirts ran very small. I went up a size, usually wear M, because of reviews I read on this particular one (L) and it is really small. Wish I had the option to return for an XL but I totally understand they are sold as packages. Rated 5 out of 5 by Noelani from Cutest Valentine's virtual run ever! I really liked the cute Valentine themed shirt, medal, and candies. The medal was a good quality and you could remove the top portion of the heart, which makes this medal unique. I would have enjoyed to run this event, but a stress fracture prevented me from running. I hobbled instead...2.14 miles! Rated 5 out of 5 by CoachW from Had a great time! We registered as a family and it was a great experience! The distance was perfect for my kids and we loved the charity it benefitted! What an excellent, healthy way to celebrate Valentine's Day! Love 2 Run Virtual 2.14 Miles Race is rated 4.9 out of 5 by 36. I know that some runs take longer than others to sell out. How come you do not restock on runs, especially those that are popular and sell out quickly? Thank you for your interest in Gone For a Run! That is a great question! Each of our virtual races take months of planning and preparation. The Love 2 Run 2.14 Miles Races was popular among many, but sometimes it is hard to tell in advance what the outcome will be! 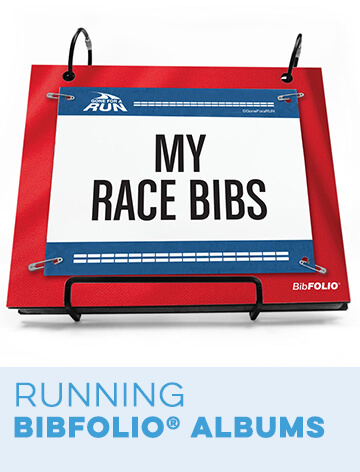 We typically allocate 1,000-1,500 packages per race, and when we sell out, it would take multiple weeks to restock. Since Valentine's Day is two short weeks away, we would not able to restock the race in time. We do wish that we were able to provide a race packet to each and every one of our customers, but unfortunately that is not possible. Since virtual races are still relatively new to us, we are learning more and more each and every race! We hope that you stick with us and check out our future races, because they will definitely be a blast! Just keep in mind that they are first come first serve, so if you would like to know when we come out with a new one, sign up for our emails, or follow us on Facebook! If you have any other questions, please feel free to reach out to us - you can reach us at (866) 329-5603! And you can find us on Facebook here: https://www.facebook.com/GoneforaRUN/ Thank you for your question! I'd been trying to register for the race for a few days with the site kicking me off and today it's got the stamp saying it's sold out (still with a register button). Is that true? Could I sign up for the medal without the shirt if those aren't available? I'm sorry to hear that you were having issues placing an order! Our Love 2 Run Virtual 2.14 Miles Race sold out on Friday, so if you tried placing the order over the weekend, that may be why you were experiencing some trouble! Unfortunately because the entire race is sold out, we do not have any more medals available for sale. But although this race is sold out, we have released a new one which is now open for registration! You can check out the Kiss Me I'm A Runner Virtual 5K here: http://www.goneforarun.com/kiss-me-im-a-runner-virtual-5k/tr-22685.html?cgid=gfar-1953#start=1 If you have any questions or concerns, please don't hesitate to call us at (866) 329-5603 - we'd be happy to help! Wow that sold out fast - it seems like the announcement just came out. &nbsp;I saved it - but was just getting to it today. How do I make sure I don't miss the St. Paddy's one? Hi there! Thank you for your interest in Gone For a Run! I am sorry to hear that you were not able to snag one in time! The Love 2 Run Virtual 2.14 Miles Race was a very popular one, and because it is first come first serve, we did sell out relatively quickly! We expect the same outcome for our Kiss Me I'm A Runner Virtual 5K, which is now open for registration, so I definitely recommend that you secure your spot before this race inevitably sells out as well. You can find the race here: http://www.goneforarun.com/kiss-me-im-a-runner-virtual-5k/tr-22685.html?cgid=gfar-1953#start=1 If you have not already, I also recommend that you sign up for our emails because we do send out notifications when the race is filling up! You can also follow us on Facebook! If you have any other questions, please feel free to call us at (866) 329-5603! Hi there! Unfortunately the Love 2 Run Virtual 2.14 Miles Race sold out on Friday, which is probably why you were having issues registering. We wish that we could provide each and every one of our customers with a race packet, but sadly we cannot. However, we did just come out with a new race, the Kiss Me I'm A Runner Virtual 5K! I would definitely recommend checking it out - it will be just as fun, and has an awesome medal!! You can find it here: http://www.goneforarun.com/kiss-me-im-a-runner-virtual-5k/tr-22685.html?cgid=gfar-1953#start=1 Thank you for your interest in Gone For a Run! Which sizes are still available? &nbsp;I have clicked on each size and each say not available. &nbsp;Would love to run this one. Hi there! Great question! Unfortunately there is no way to know in advance, but I would recommend that you sign up for our emails and follow us on Facebook! 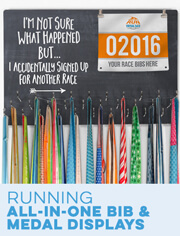 We post race information frequently and also notify you when the race is filling up! However, you may find our emails most helpful - we also come out with exclusive deals and offers which are always a fun surprise! We also have a race going on right now - Kiss Me I'm A Runner Virtual 5K - which is most likely going to sell out quickly, so check it out soon! You can find it here: http://www.goneforarun.com/kiss-me-im-a-runner-virtual-5k/tr-22685.html?cgid=gfar-1953#start=15 If you have any other questions, feel free to call us at (866) 329-5603! We'd be happy to help you out further! Unfortunately we are sold out and will not be restocking this race. Don't let that stop you from joining in on the race day fun! 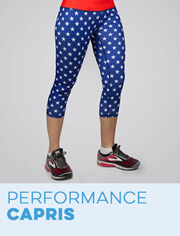 We are still offering tons of Valentine's Day themed gear that would be perfect for your holiday race. Please let us know if you have any further questions.